Technology used in events have revolutionized the entire events industry for the last decade. For this reason, you should be acquainting yourself with the different solutions that you have at your disposal. You may be asking; why is there a need to adopt technology in events? The straight answer is that it makes things easier for you in terms of the event management lifecycle! This is particularly true if you are using an event software. The event management software is one of the most practical solutions that you can use for event planning today. It is a specific type of software that automates different processes found in the event management lifecycle. 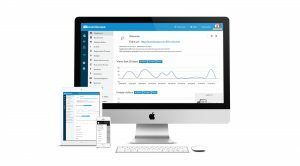 Some software providers are even marketing all-in-one solutions that would help you with everything like event website creation, attendee registration & ticketing, and even mobile apps. If you are trying to get your hands on this software, try to read more about event management software reviews. Speaking of mobile apps, there are two major types that you can provide to your attendees. We are going to focus on the first one which is designed specifically for attendees. It is called the event app. What can you do with this solution? It’s basically a mobile app that your attendees can download to their mobile devices from the App Store or the Play Store. Once they log in to the app, they will be able to enjoy different features such as favouriting sessions, taking down notes, using the agenda builder, etc. The app is basically a portal that they can use to explore your event before and during its set dates. This segment of event technology is one of the newest adaptations in the industry. Wearables are anything that your attendees can wear during your event while VR stands for virtual reality. Wearables can include tools such as an RFID bracelet that would let your attendees check in automatically and buy different products wirelessly. If there are event merchandise that they would like to purchase, they do not have to take out their credit card or cash to pay. They just swipe their RFID bracelet which will automatically deduct the amount due from the associated credit card. On the other hand, VR technology is useful in tourism and destinations exhibits (for example) since it allows attendees to immerse themselves in a particular destination without having to go there physically. All they have to do is wear VR glasses and earphones and they can be virtually transported to any place around the world. To find out more about cloud-based event management software, you may read more about the event management website.